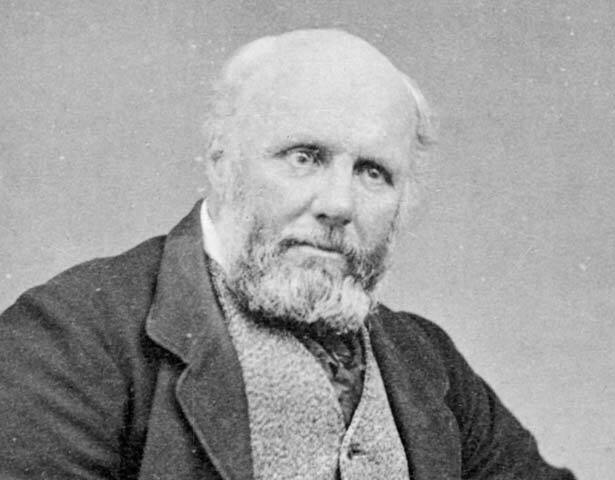 Poet/premier Alfred Domett is remembered, if at all, for establishing the Parliamentary Library and for his much-derided epic verse Ranolf and Amohia: A South-Sea Daydream. In 1842 this prosperous shipowner’s son emigrated to Nelson where journalism led to politics. In 1846 Governor Grey employed him as an adviser. Two years later Domett became colonial secretary for the province of New Munster (the South Island and the lower North). After working as a commissioner of Crown lands, he entered provincial (1857-63) and national (1855-66) politics, leading a brief and undistinguished ministry for 14 months. In 1866 Domett was appointed to the Legislative Council, despite being a civil servant. When legislation was later passed to prevent politicians from holding civil service positions, he was specifically excluded, a measure of his excellence as an administrator. Domett had married Mary George in 1856. After retiring from the Council in 1871, he returned to London where he resumed his literary interests. We have 17 biographies, 3 articles, related to Alfred Domett.